This Fest model comes in a full size, measuring 6.25". 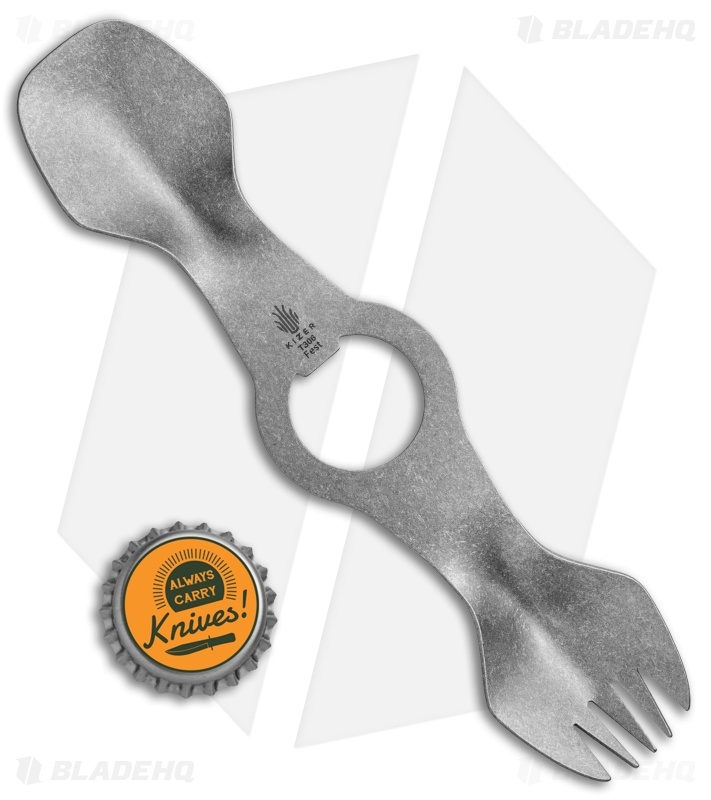 The Kizer Fest is made from tough, lightweight titanium with a spork on one end and a spoon on the other, with a bottle opener in the middle. 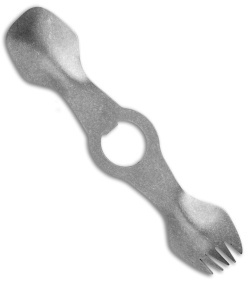 Add an essential camping tool to your gear with the Kizer Fest Spork. 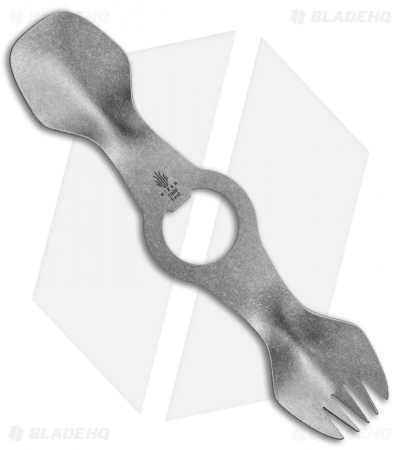 Titanium construction offers a solid, durable build. Compact design for lightweight and comfortable carry. 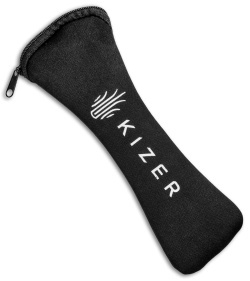 Item includes a padded drawstring pouch for safe and secure storage.